During the first two seasons of Arrow, before The Flash had premiered, The CW was a little hesitant to embrace the whole comic book aesthetic. Sure, Stephen Amell’s Oliver Queen wore a costume when he was doling out vigilante justice, but it was more of a practical disguise than a proper superhero uniform. Since then, he got a proper domino mask, Brandon Routh showed up in a budget-conscious Iron Man suit, and pretty much everybody on The Flash has a costume in their closet. 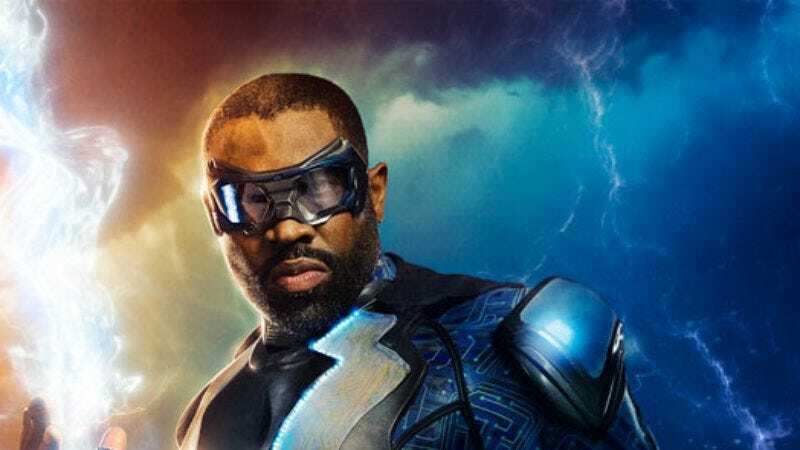 Arrow universe mastermind Greg Berlanti’s Black Lightning may not have started life at The CW, but the first image of its eponymous superhero (played by Cress Williams) makes it clear that the show is benefitting from its predecessors’ experience nonetheless. As you can see, Williams’ Black Lightning outfit doesn’t shy away from the fact that it’s for a superhero show, and it definitely wouldn’t look out of place alongside the cast of Legends Of Tomorrow in one of The CW’s big crossover spectaculars—even if Black Lightning isn’t technically part of that universe yet. In a statement, executive producer/writer/director Salim Akil noted that he was 13 when Black Lightning was originally created, and it meant a lot to him to see a superhero that “gave a damn about our neighborhood and our lives.” He hopes the new costume can indicate a similar vibe for the TV show. Black Lightning was the first African-American superhero to have his own solo comic book for DC, and Black Lightning will similarly be the first network TV series centered on an African-American superhero.